Manufacturing one exceptional product is difficult on its own. Manufacturing several exceptional products is a taller task. Manufacturing an entire line of highly desired products and getting them out to your customers requires expert-level supply chain knowledge and Hopkins Distribution Company would like to share our expertise with you. A well-negotiated network of dependable freight carriers to transport your goods across predetermined geographical areas. 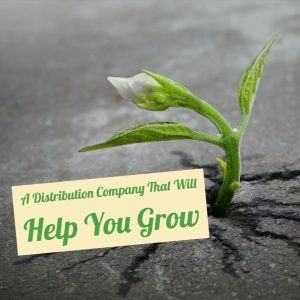 The pricing arrangements between Hopkins Distribution Company and our partner carriers are structured such that all clients residing within Hopkins Distribution Company can fall under our corporate rate structure, but are billed directly by the carriers, which passes on the “complete” discount to you for your benefit. There are no hidden mirrors here, just great freight rates! We currently process over 6.5 million pounds of outbound freight monthly, with service to all points in the northern and southern hemisphere. Our volume of movement has allowed us the advantage of negotiating very attractive freight rates and discounts for all of our clients to enjoy. A detailed and well-structured tracking system that allows you to stage, ship, and receive the right goods in the right quantities at the right times. At Hopkins Distribution, we have streamlined our 3PL Logistics processes to ensure a tight supply chain. We have a 99.997% accuracy of inventory processing rate, which we attribute to our perfected systematic approach to order fulfillment. As our client, you will be able to operate knowing that your 3PL Logistics needs are met and your products are delivered on time, and to the right place. Carefully chosen packaging that sufficiently protects your products. A delicate balance is required between the strength and cost of your packaging. Hyper-strong packaging will protect your goods through thick and thin, but it can pose an excessive cost. Hyper-weak packaging will benefit your upfront budget, but you will spend more money on freight claims and product replacements. Although Hopkins Distribution Company does not directly offer packing services, we know the value of carefully chosen packaging. Our packaging partner has been a highly effective solution for many of our clients. Manufacturing companies, freight shippers and receivers, as well as logistics and distribution companies can benefit from our many years of 3PL experience and stellar service. With regards to order placement, inventory management, merchandise storage, warehouse pick and pack services, and rapid east and west coast transportation, no other contract warehouse can offer our level of detail and friendly service. Effective distribution is critical to the success of any manufacturer that produces products in large volumes. The more effective the distribution company you hire, the better your opportunity to get your products in the hands of wholesalers, retailers, and consumers. Increasing the geographical reach and speed at which you can source products for your customers will reduce their costs and help you retain long-term customer relationships. Top-tier companies around the world look to us for innovative solutions that can help them plan business strategies, improve customer service, accelerate order cycle times, and tighten control of the supply chain; all while reducing costs in transportation, inventory, and order fulfillment. Customers are our partners in business. Companies depend on Hopkins Distribution Company to provide seamless management of their logistics pipeline through quality global services, supported by state-of-the-art technology. Contact us today! We appreciate your attention to detail. Thank you all again for a great job!